Now being refurbished by member John Hodson. This 33ft Nobby was designed by Stobie and built by Armours of Fleetwood in 1902. She fished out of most of the ports in Morecambe and was used as a fire boat during the war at Liverpool Docks. The Arthur Alexander was the subject of a Granada TV documentary as she had sunk in the mud on the River Wyre, Fleetwood, for three years before being successfully raised by association member Stan Hurley. Stan then subsequently sold her to Michael Griffiths (honorary member). Mike then spent three years bringing her back to a good condition. 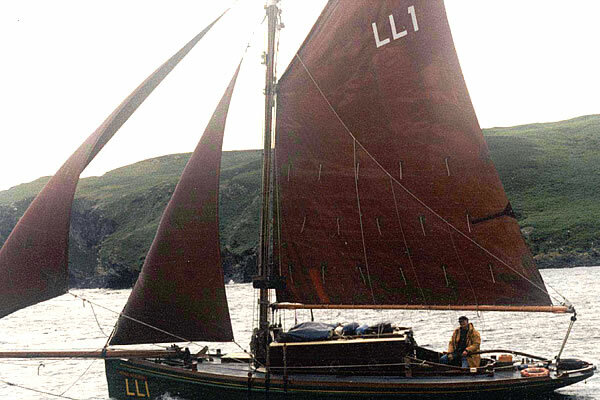 She was the winner of the 1988 Liverpool Nobby Race and has been sailed to Isle of Man, Scotland and Ireland. Her time has still never been beaten not even by Laura!